Another guilty plea in a brutal west Windsor murder. Dustin Schuh has pleaded guilty to second degree murder in the death of a 26-year-old man, who was kidnapped and taken to a Mill Street apartment where he was tortured and eventually died. Police found the man inside the apartment at 605 Mill St. on Oct. 19, 2016. 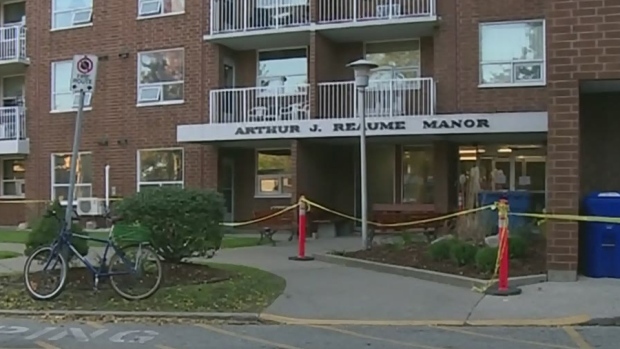 The victim still has not been identified by Windsor police, but at the time, police told CTV News his hands were bound, he was “severely beaten” and had suffered multiple stab wounds. Schuh is the six and final person arrested for the murder. He was set to stand trial on March 8. A sentencing hearing for Schuh will take place on Feb. 21. Five other suspects previously pleaded guilty to the crime. Walter Smith, 69, pleaded guilty in September, to accessory after the fact to murder, for which he was sentenced to 2.5 years in prison. In December, Melissa Luyten, 34, pleaded guilty to forcible confinement and she was sentenced to four years in prison. Earlier this month, twin brothers Dennis and Erick Bercian, 32, pleaded guilty to kidnapping and were both sentenced to five years in prison. But when given credit for time already served, since their arrest in March of 2017, they have just 26 more months behind bars. Daniel Shaw also pleaded guilty to forcible confinement and will be sentenced in April.